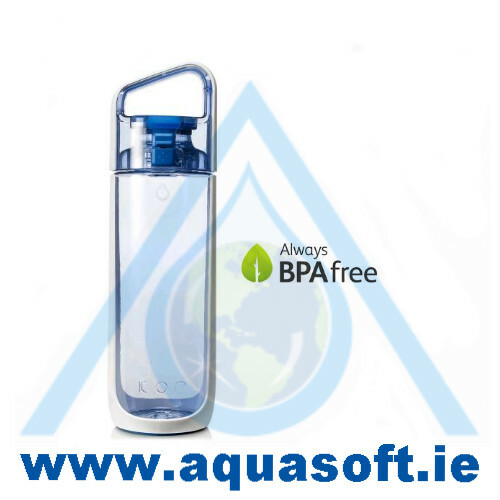 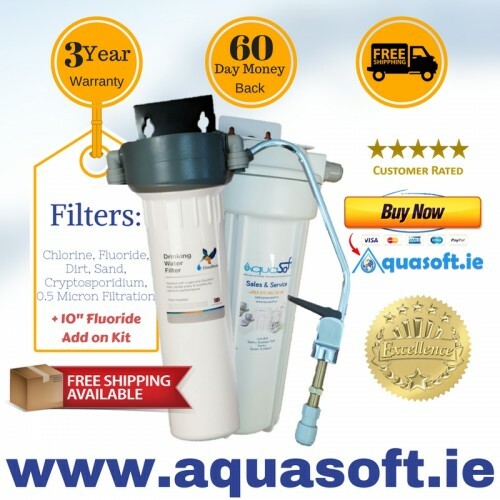 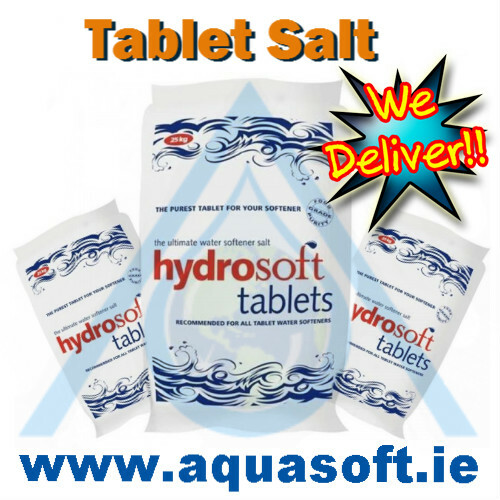 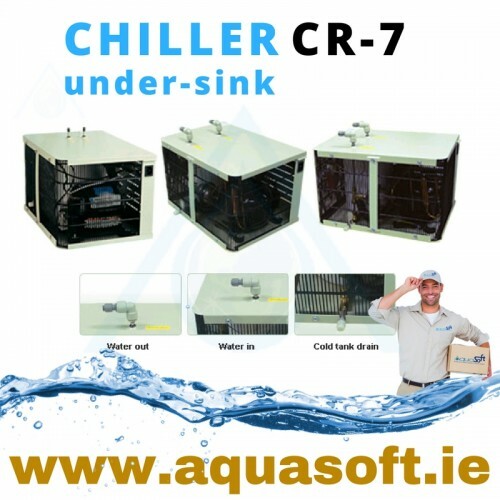 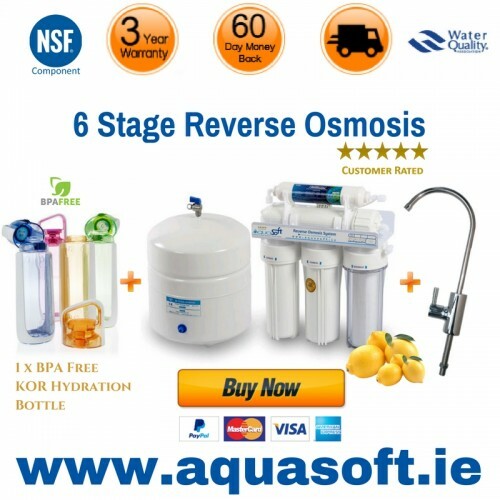 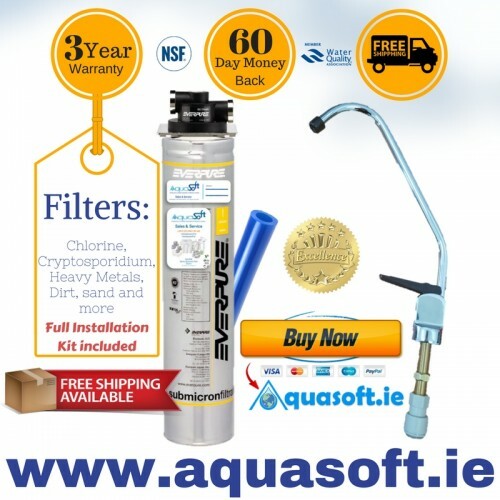 The Aquasoft™ Pumped Reverse Osmosis 6 stage under-sink drinking water filtration system offers supe.. 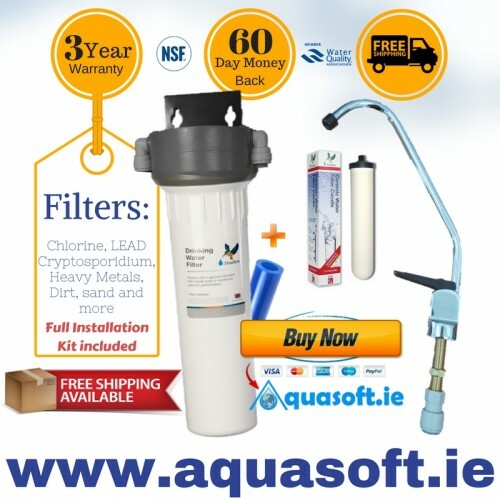 The Doulton® Ceramic under-sink and 10'' Standard Filter Fluoride housing drinking Water System.. 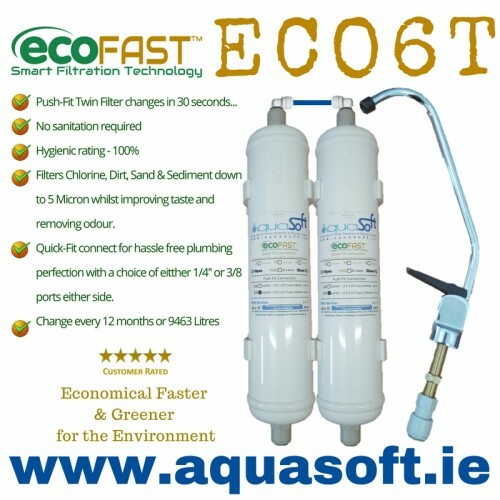 The Doulton® Ceramic Undersink Drinking Water System provides excellent filtration of lead.. 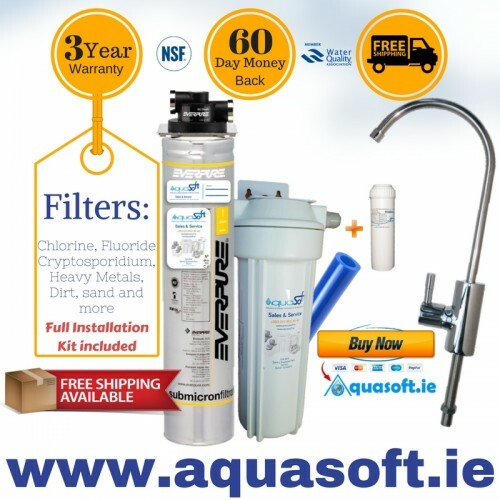 The Everpure® under-sink Quick Fit Drinking Water and 10'' Fluoride Filtration System prov.. 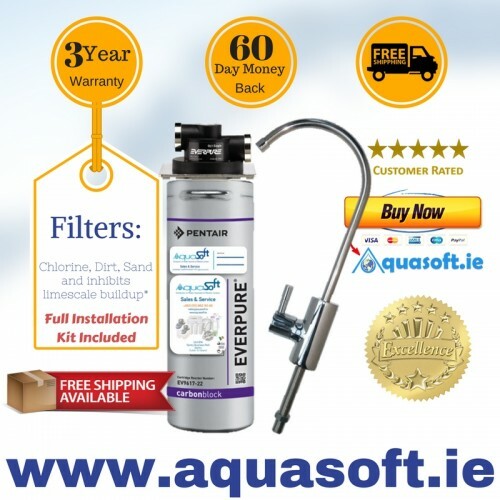 The Everpure® under-sink Drinking Water Filtration System provides excellent protection fr.. 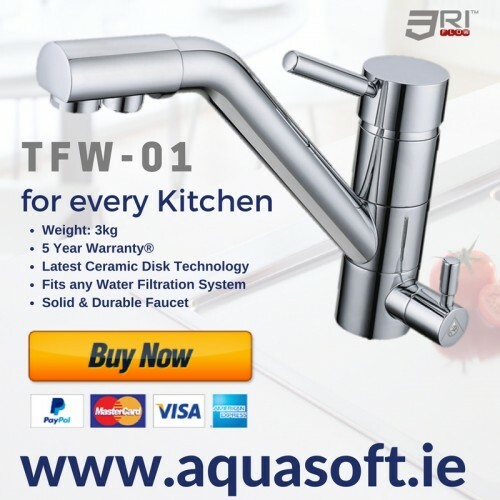 The Aquasoft™ Tri-flow Tap TFW-01 Model Kitchen Faucet with independent feeds.The Aquasoft™ Triflow .. 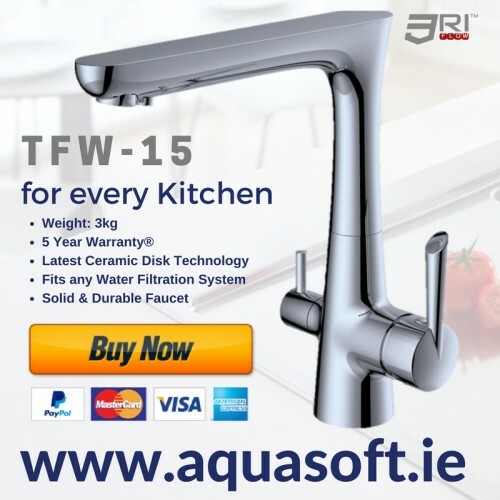 The Aquasoft™ Tri-flow Tap TFW-05 Model Kitchen Faucet with independent feeds.The Aquasoft™ Triflow .. 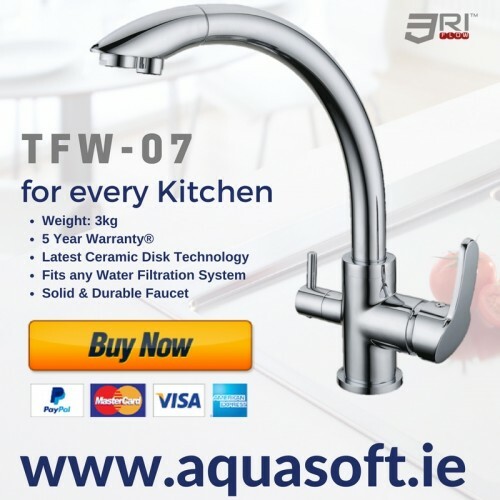 The Aquasoft™ Tri-flow Tap TFW-07 Model Kitchen Faucet with independent feeds.The Aquasoft™ Triflow .. 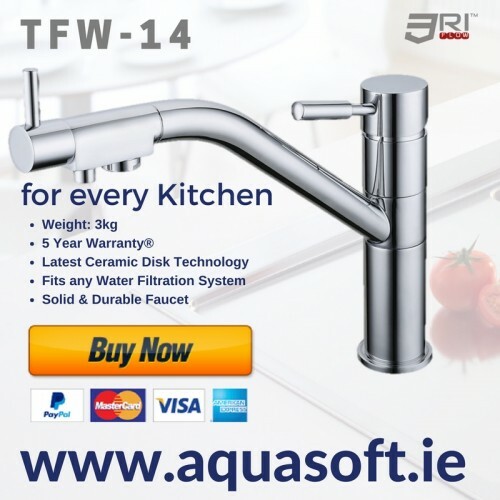 The Aquasoft™ Tri-flow Tap TFW-14 Model Kitchen Faucet with independent feeds.The Aquasoft™ Triflow .. 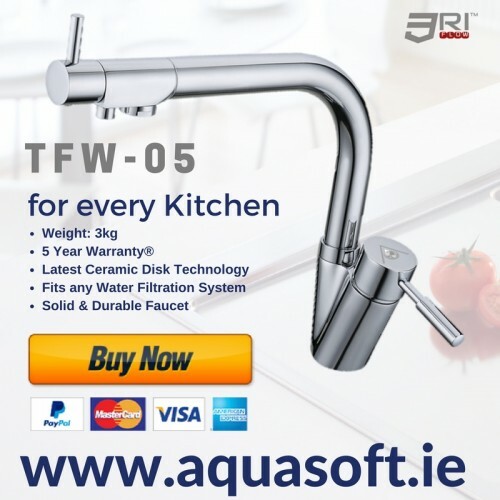 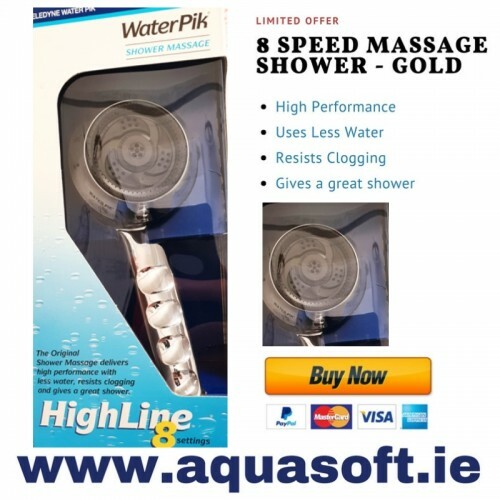 The Aquasoft™ Tri-flow Tap TFW-15 Model Kitchen Faucet with independent feeds.The Aquasoft™ Triflow ..
WaterPix® 8 Speed Highline Massage Shower HeadThis Chrome hand held WaterPix® massage.. 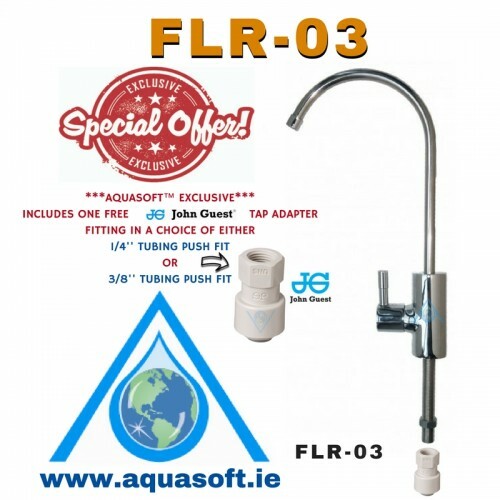 The FLR-01 single black lever Water Filter TapThe FLR-01 single black lever Water Filter Tap can con.. The FLR-03 single Fountain Style Water Filter TapThe FLR-03 single Fountain Style long reach Water F.. 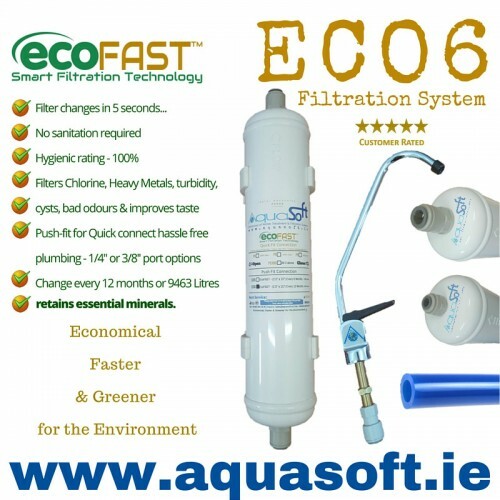 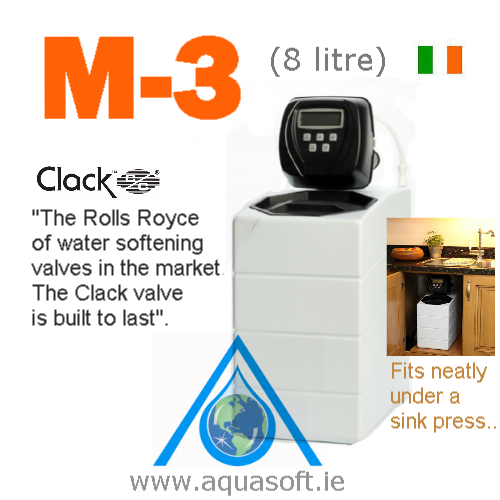 The FLR-04 Push Button single Fountain Style Water Filter Tap (Ideal for Schools and GYM's)The FLR-0..
Aquasoft™ Ireland supplies and installs Water Filters, Doulton® Water Filters, Pentair® Everpure Water Filters, Clack® Valve Water Softeners, Water Coolers, Water Chillers, Water Fountains - Wall mounted, Free Standing Indoor & Outdoor units, Fluoride filters, John Guest® quick-connect push fittings and Reverse Osmosis systems into homes and businesses throughout Ireland & Europe. 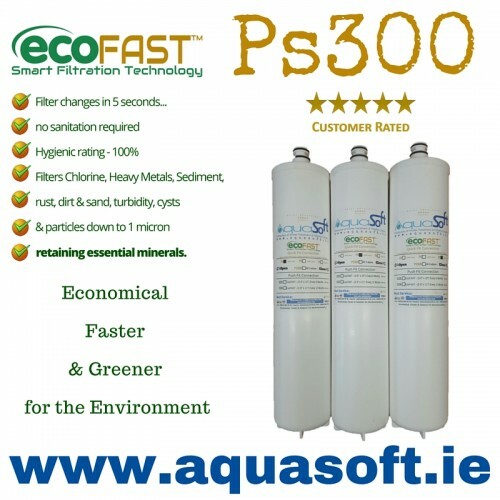 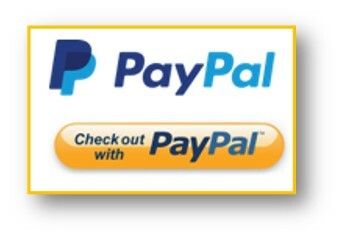 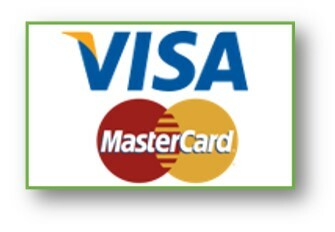 We offer very competitive pricing direct to the trade. 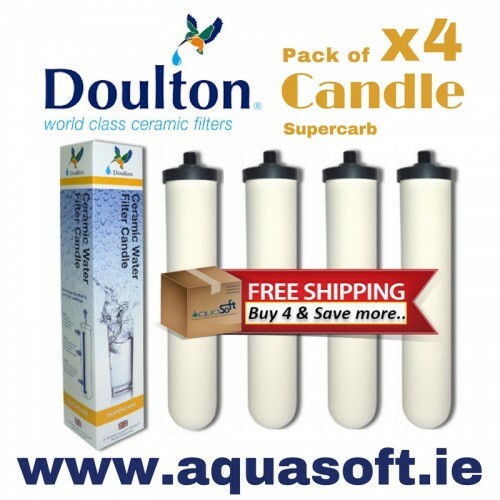 The Doulton® Ceramic Supercarb Water Filter Candle W9122050 replacement Pack of 4, fo.. 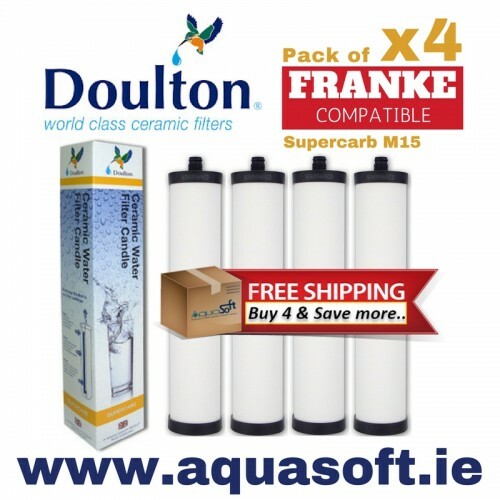 The Doulton® Ceramic Supercarb M15 Franke Water Filter Cartridge W9222903 replacement Pack..
Water Chiller CR-7: DD+ Mains fed Direct Chill under-sink water cooling system for Home and Off..
ECO6 Series Water Filtration System from EcoFAST™The EcoFAST™ ECO6 under-sink push fi..
Aquasoft™ Ireland is a proud supplier of EcoFAST™ Quick-connect Series easy chan..